This charger will NOT charge a single 24 Volt battery, but will charge two 12 volt batteries in series, as well as four 6 volt batteries in series. 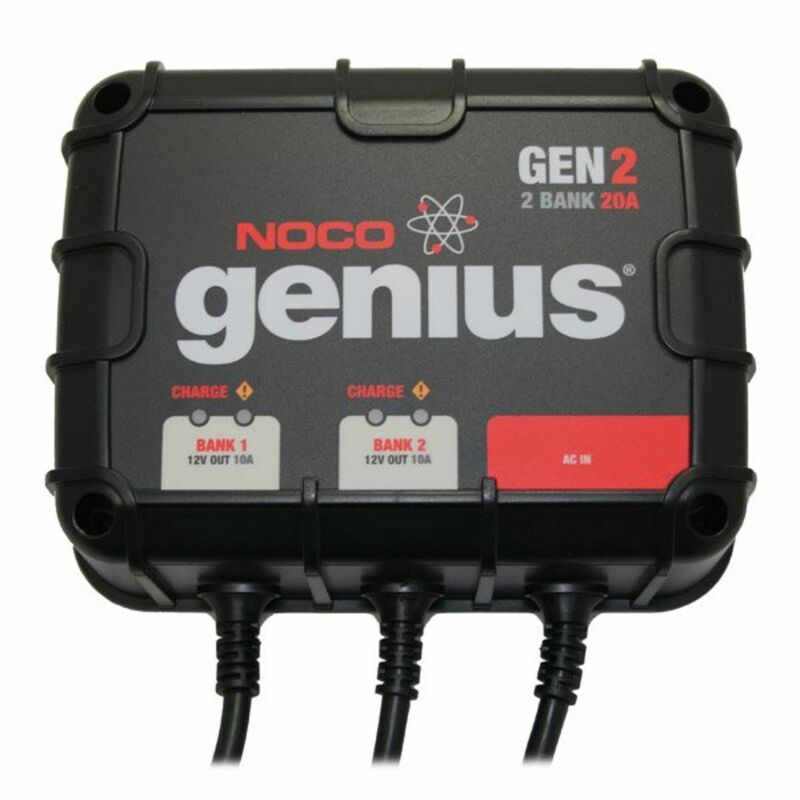 The NOCO Genius GEN2 charger is an 8 step, fully automatic, 2 bank switch-mode battery charger which automatically determines the condition of your batteries before beginning its charge cycle. It will only charge when the batteries need it, and will fully maintain your battery when it is in storage or between uses. 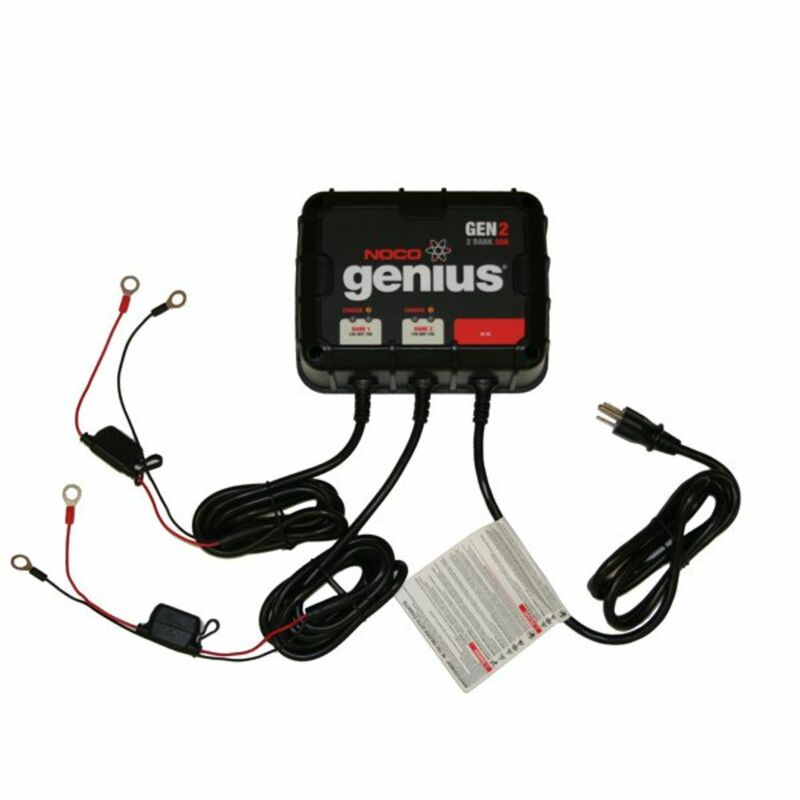 All of the Genius line of battery chargers are programmed for optimal battery charging and maintenance, with proprietary Rapid Charging Technology (RCT). The smart microprocessor and advanced high frequency design will charge batteries twice as fast as a conventional transformer-based marine charger, while always preventing overcharge. This assures you of maximum battery life and less downtime. Genius chargers also utilitize Variable Input Compensation, which means that your charger will work as it should, delivering its full, correct voltage and amperage, whether or not long extension cords or low AC power are used. 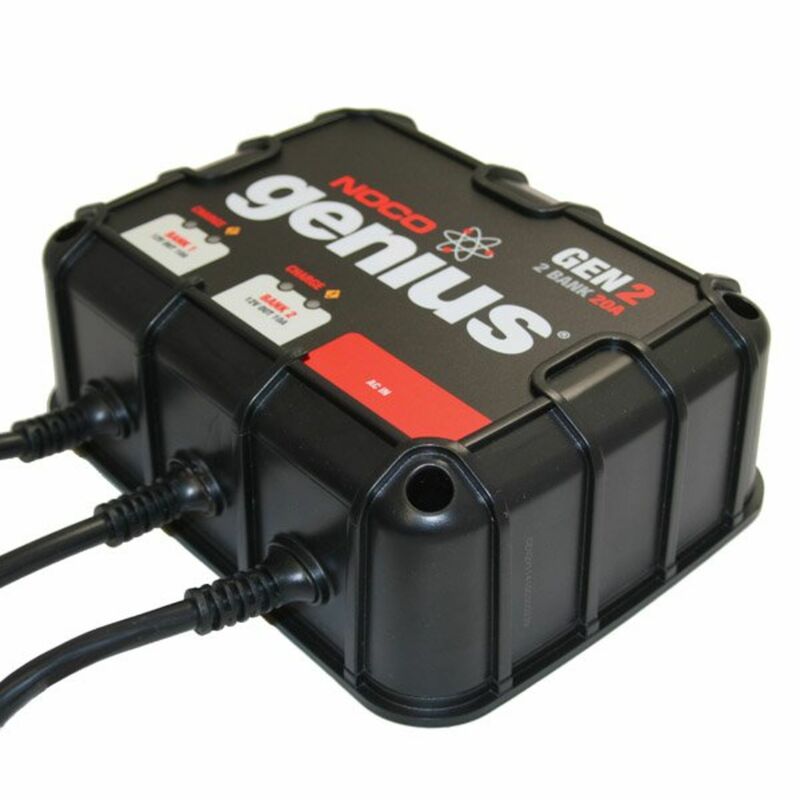 NOCO Genius chargers are waterproof and fully automatic! Do you own the GEN2? Please, tell us what you think about it. It helps us provide you with better products. Please note that it may take up to 72 hours for your review to appear.